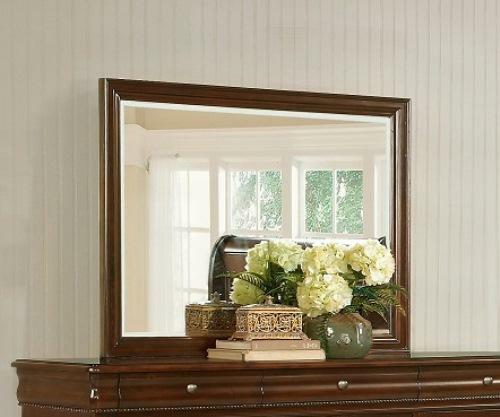 Open up and add character to your bedroom with this dresser mirror. The dramatic frame and beveled glass denote this Louie Phillipe style and establish a strong presence in the bedroom. The 4116A- Misk Mirror by Lifestyle at Miskelly Furniture in the Jackson, Pearl, Madison, Ridgeland, Flowood Mississippi area. Product availability may vary. Contact us for the most current availability on this product.